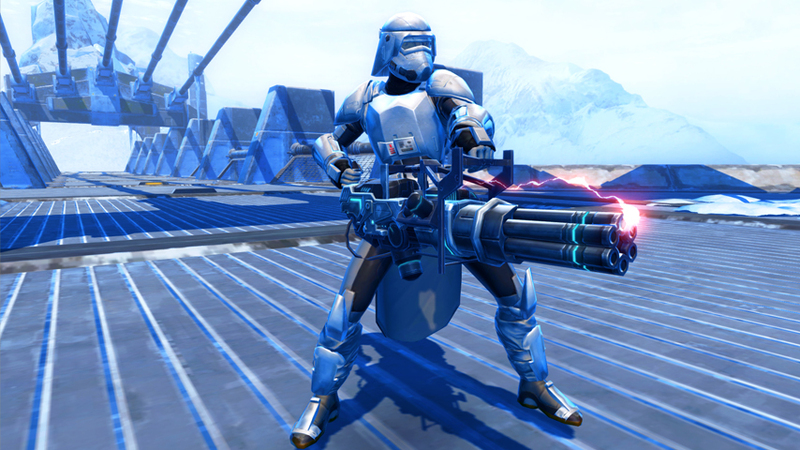 A Weapon Tuning is an exciting new way to customize your weaponry, creating a brilliant visual flair on the weapon itself! 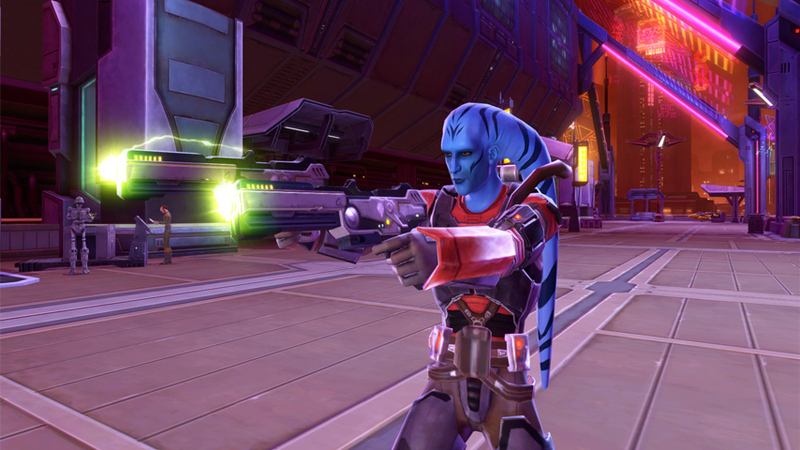 If you want to equip a Weapon Tuning the first thing you’ll need is a weapon with an available Tuning Slot. 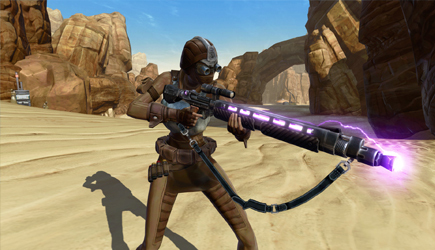 Weapons that have a Tuning Slot come from many different sources including the Cartel Market, PvP, Operations, Reputation Vendors, Flashpoints, Heroics Missions, and Crafting Recipes. Be sure to check if your Weapon has a Tuning Slot! Next, you’ll need a Weapon Tuning. They are currently only found in Cartel Market Packs. 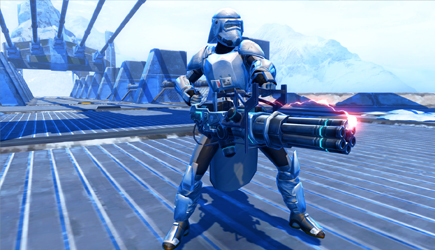 The first Weapon Tuning, Lightning, is available in the Plunderer Pack which launches alongside Chapter XIII: Profit and Plunder. Once you’ve got a weapon with an open Tuning Slot and a Weapon Tuning, combining the two is as simple as making any other modification to your weapon. First, CTRL+Right-click the item to open up the Field Modification window. You can also take it to an Item Modification Station. 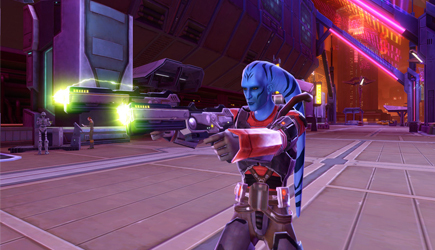 Then simply drag the Weapon Tuning into the open Tuning Slot and hit “Apply”. 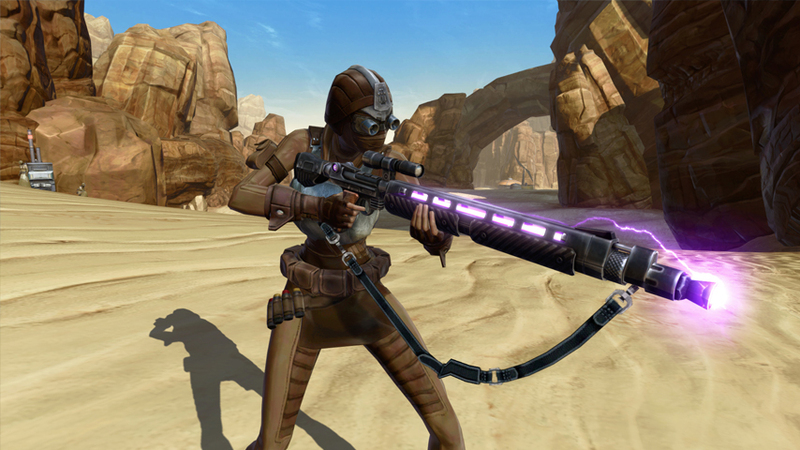 Your Weapon will automatically begin using the effect created by the Mod! Weapon Tunings work like any other Weapon Modification – once you have placed one in a weapon, you will need to pay a fee to extract it. Placing one into a weapon will bind it to your character, and Weapon Tunings are not a part of the Collections Interface. 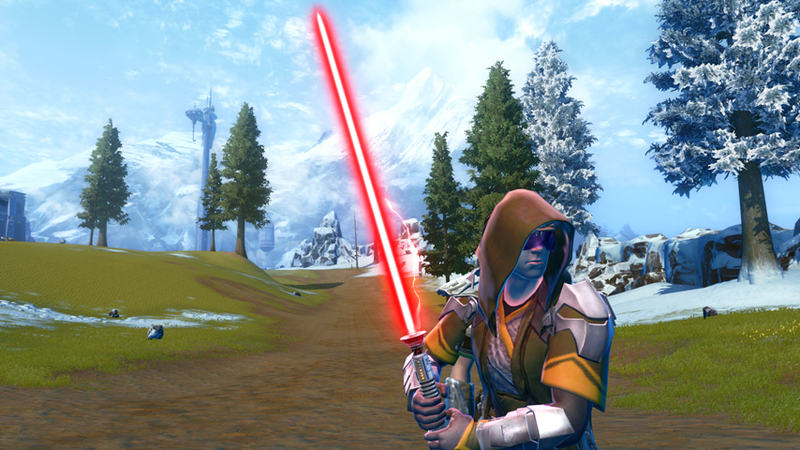 Arcann’s rule has brought the Galaxy to its knees, but new opportunities to wrest the Galactic Republic and the Sith Empire back from his grasp are appearing every day. 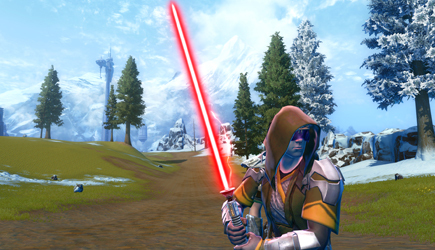 Claim your Weapon Tuning and lead your Alliance against the forces of the Eternal Throne! May the Force™ be with you.